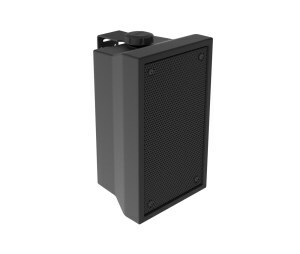 Terra's all-weather indoor and outdoor speakers are built to last for years in the most difficult climates and deliver great sound all the while. The AC [All Climate] FIVE Line of all weather, outdoor speakers offers to our Classic All Climate line a more modern and angular look. They are with input from reps and dealers with help from Leon Speakers. Their updated design is perfect for fitting under overhangs as well as landscape specific installations. The AC Series consists of our all-climate UniCavity™ enclosure models. They’ve been designed to withstand continuous exposure to the elements while providing high quality sound wherever you want it. Their attractive, rotationally molded Polypropylene enclosures simultaneously keep the elements at bay while reducing sonic distortion. 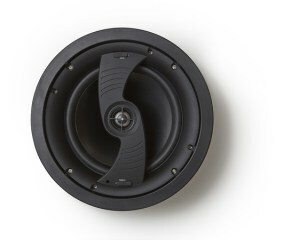 As with all Terra speakers, every component part of the AC Series has been carefully designed and manufactured to deliver reliable sound for years without maintenance or special care. 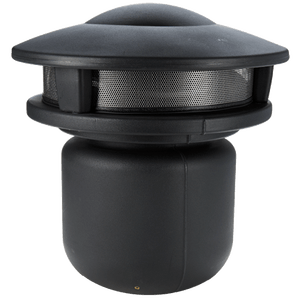 Terra’s Location Balanced Sound™ assures you of excellent performance whenever the speakers are mounted to a building or other surface. And our universal mounting bracket makes it easy to locate the AC Series most anywhere you might want to. Attractive style, superb sound, flexible mounting and built in Maine, the AC Series is your first choice in outdoor sound. The CA (Custom Application) series from Terra provides that same all-climate made in Maine endurance as the AC Series but with speakers designed to be mounted almost flush within walls or ceilings. CA models can be installed in almost any location you can imagine; shower stalls, hot tub locations, saunas (not directly over the heat source), pool houses, exposed to the elements, even on ocean going ships. The CA Series provides excellent sound, unobtrusive visuals and true all-climate capability. The LuminSound™ LS.32 is an attractive, compact black bollard that fits well into any type of landscaping. At 32.5-inches high and 7-inches maximum diameter it’s designed to provide adjustable path and/or landscape lighting while allowing precise aiming of high fidelity sound for maximum coverage and enjoyment. The lighting section of the LS.32 can be ordered as an uplight a downlight or both. Each MR16 waterproof lamp delivers a 600 spread of warm white illumination that can be further adjusted by tilting the lamp up to 300 within its cast aluminum housing. A weatherproof low voltage power supply is available that powers up to 18 Terra MR16 lamps. The upper audio section of the LS.32 houses a Terra built 5.25-inch co-axial weatherproof speaker with an ACAD™ ceramic aluminum cone and a .75-inch aluminum dome tweeter. A built-in switch allows operation as a 70.7-volt or low impedance system. 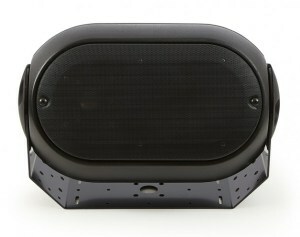 The speaker housing can be rotated up to 358 degrees to direct the sound wherever you want it.